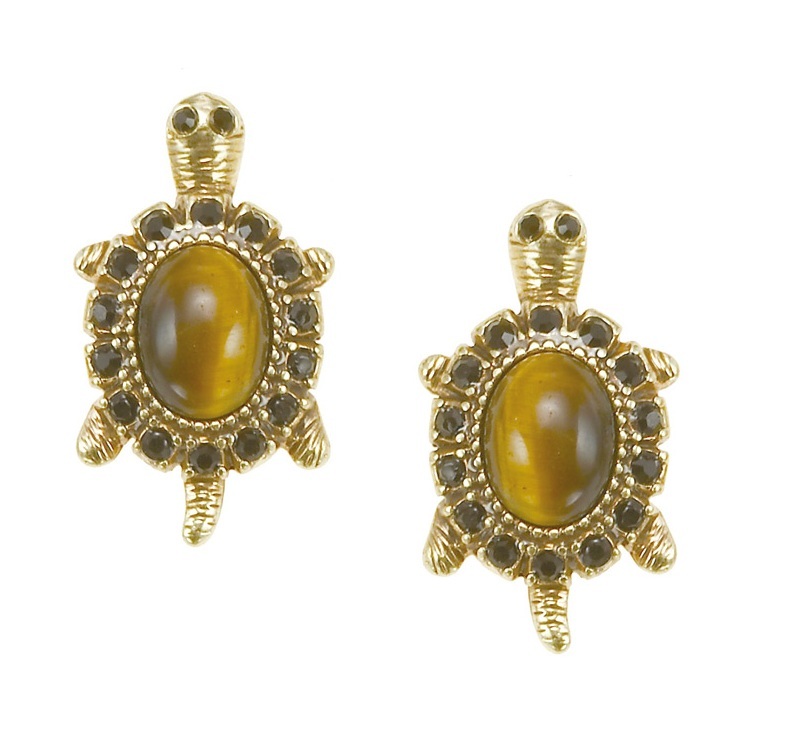 ‘Turtle’ is a wonderfully detailed series of items, each turtle features a frame of jet black Swarovski crystals surrounding a beautifully polished cabochon of ‘Tiger-Eye’ a semi-precious stone that shimmers with golds and browns. Really cute turtle stud earrings. 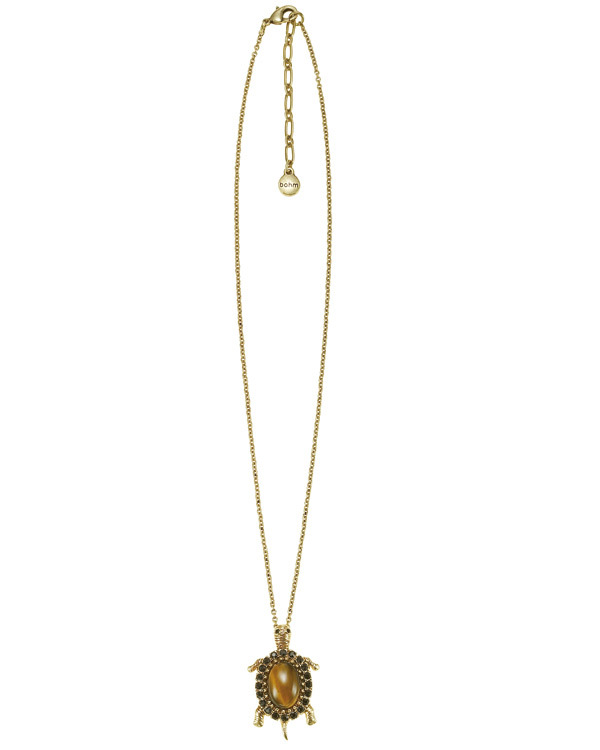 Each turtle is set with stunning 'Tiger Eye' semi-precious stones and jet black Swarovski crystals. The turtles measure 2cm/20mm long x 1.2cm /12mm wide. Studs with bullet backs for pierced ears. Turtle pendant necklace. Set with a shimmering 'Tiger-Eye' semi-precious stone and jet black Swarovski crystals. Pendant measures 3.5cm/35mm x 2.2cm/22mm. Adjustable length 16 inches/41cm to 18 inches/46cm. Really cute turtle bracelet, the turtle is set with a stunning 'Tiger Eye' semi-precious stone and jet black Swarovski crystals. The turtle measure 3.5cm/35mm long x 2.2cm /22mm wide. 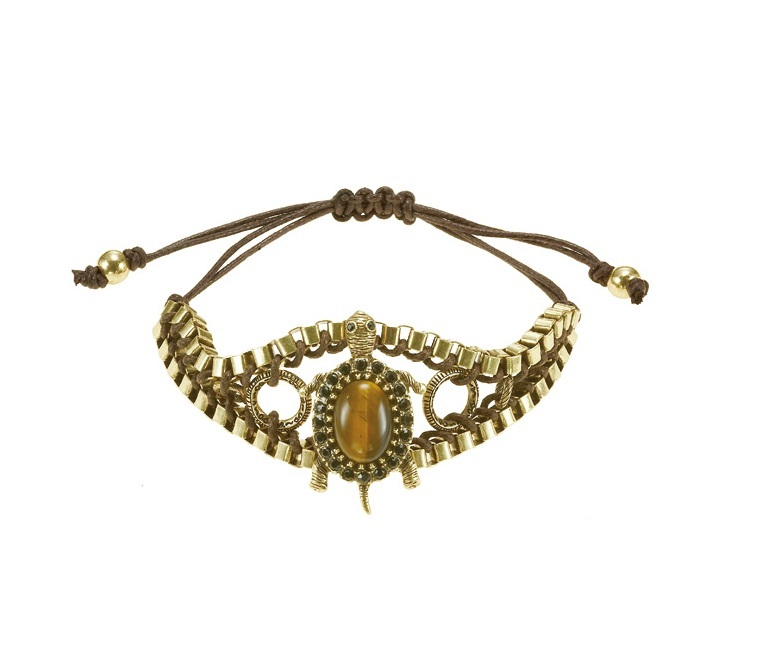 The bracelet combines cotton cords with squared link chain. It is adjustable. 5 inches/12.5cm up to 9 inches/22cm. Brown cord/Gold plate.